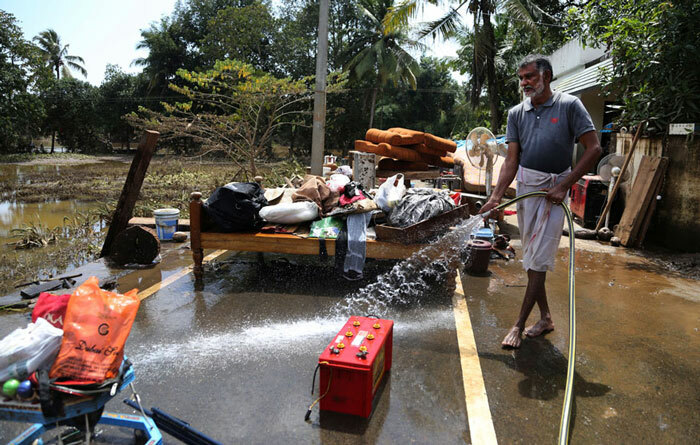 A man cleans up his house after flood water subsided, in Puthenvelikkara near Kochi. 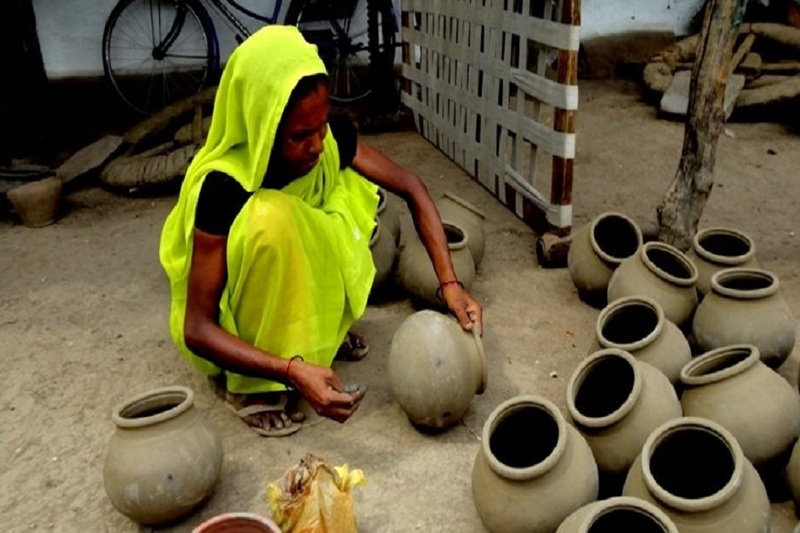 A woman cleans the mud from the entrance of her house following floods in Paravur in Kerala. 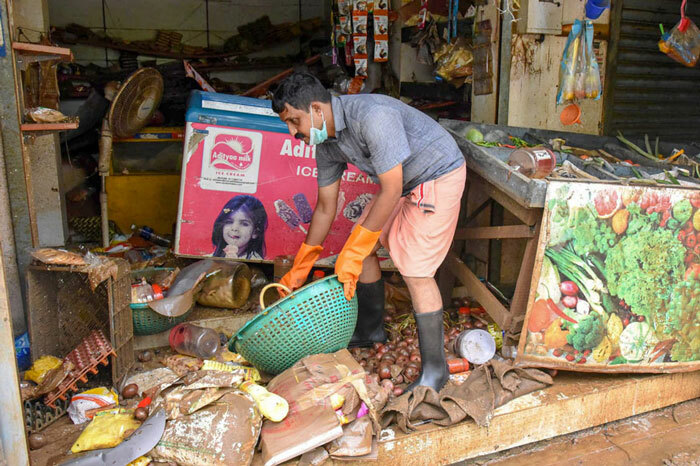 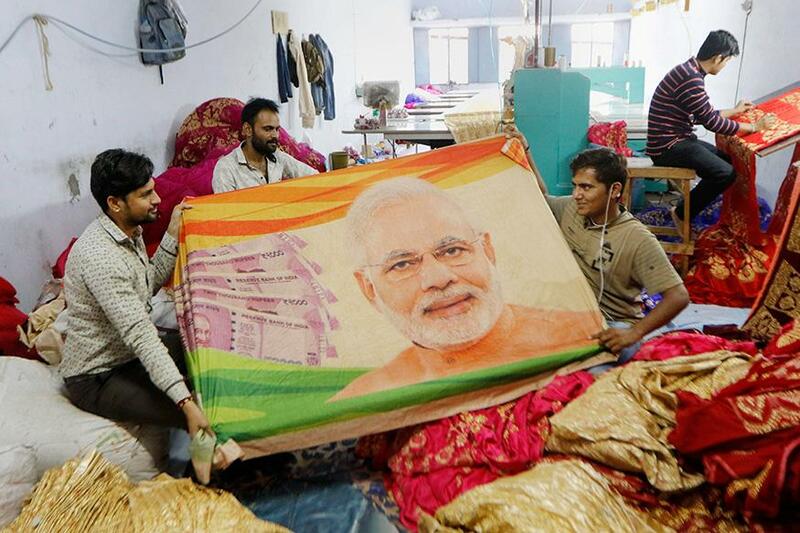 A man salvages the items at his shop after flood water receded at North Paravoor in Kochi. 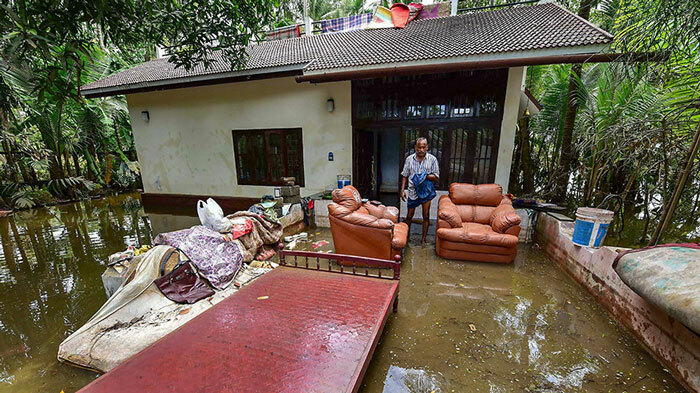 A man cleans up his house after flood water subsided at Chengannur district of the Kerala. 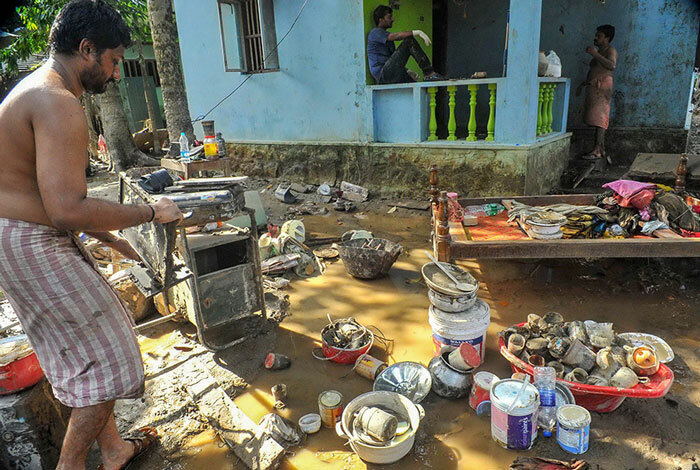 A man removes trash from sludge accumulated outside his flood affected house in Kochi. 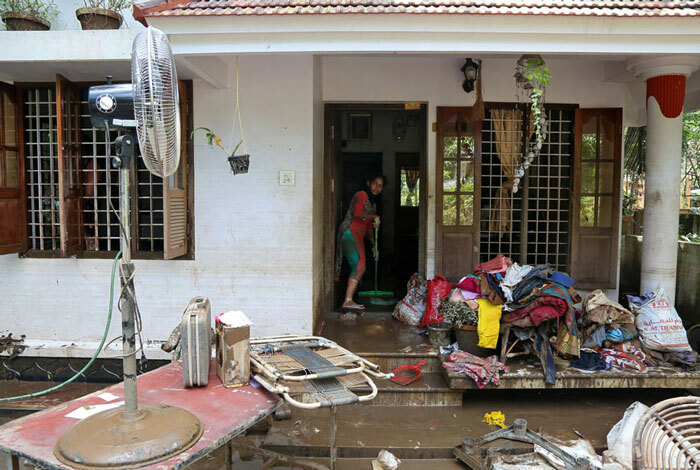 Volunteers clean a house following floods on the outskirts of Kochi in Kerala. 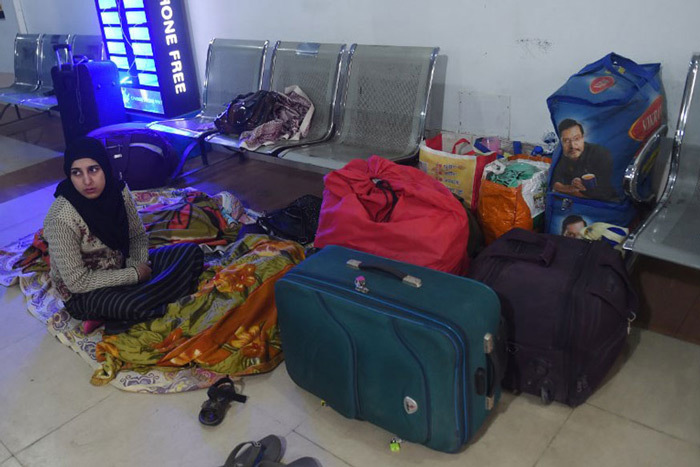 A man cleans the muddy floor of a building in Kochi following widespread flooding in Kerala. 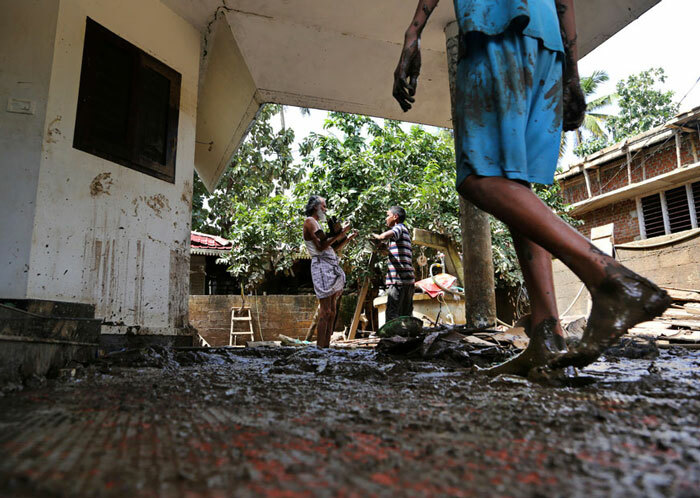 A man carries a bunch of wooden planks after removing them from sludge inside his flood affected house in Kochi. 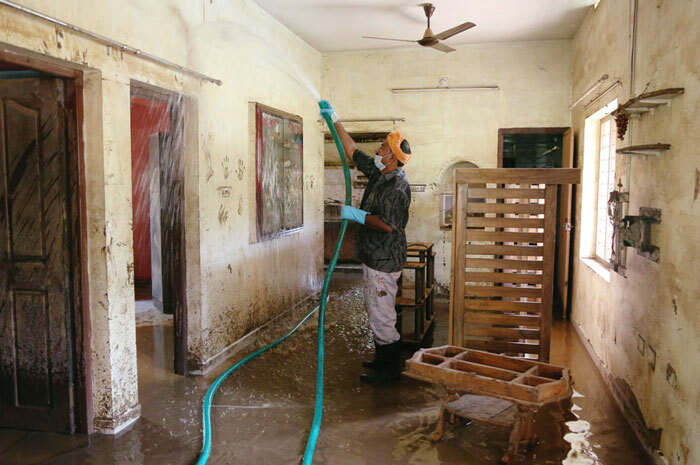 A volunteer cleans a house following floods on the outskirts of Kochi in Kerala. 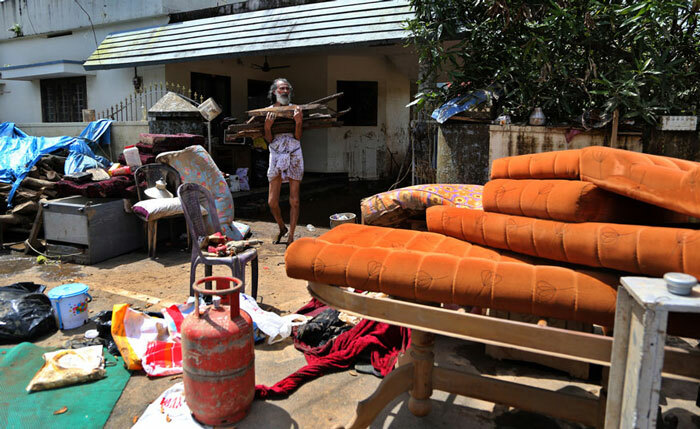 Residents salvage household goods outside their flood affected house in Kochi. 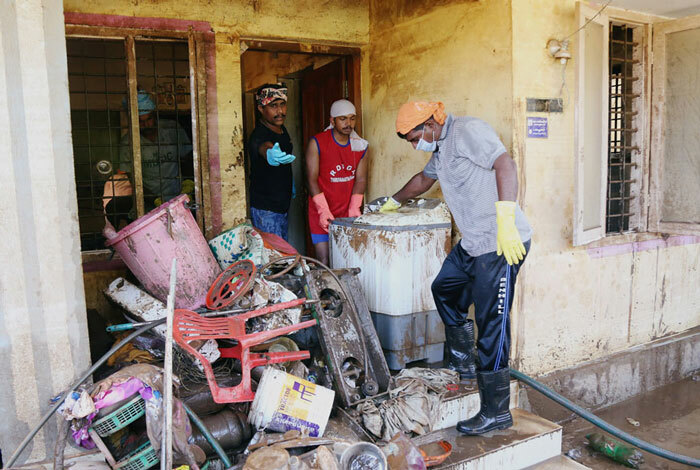 Residents wash household goods after salvaging them from sludge and muck accumulated inside their flood affected houses in Kochi. 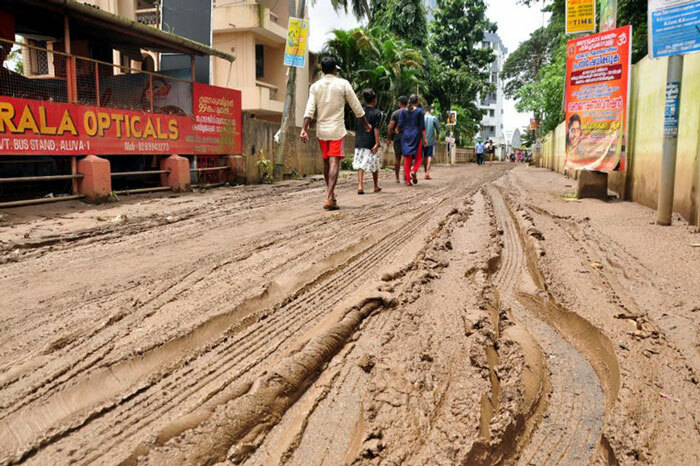 People walk along a muddy road in Kochi following widespread flooding in the south Indian state of Kerala. 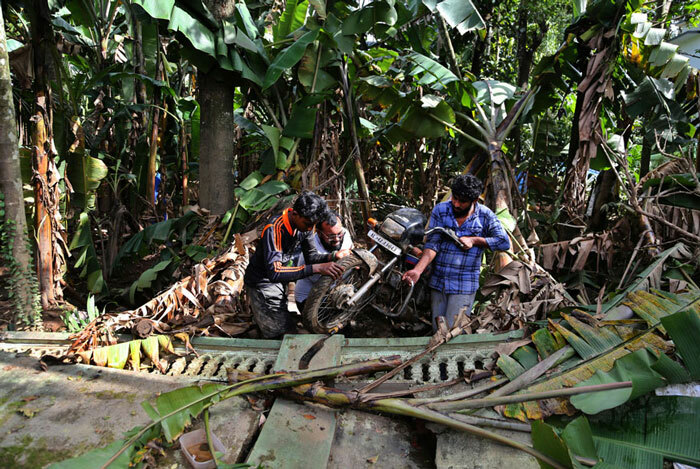 Residents remove a motorcycle stuck between banana plants in a flood affected area in Kochi. 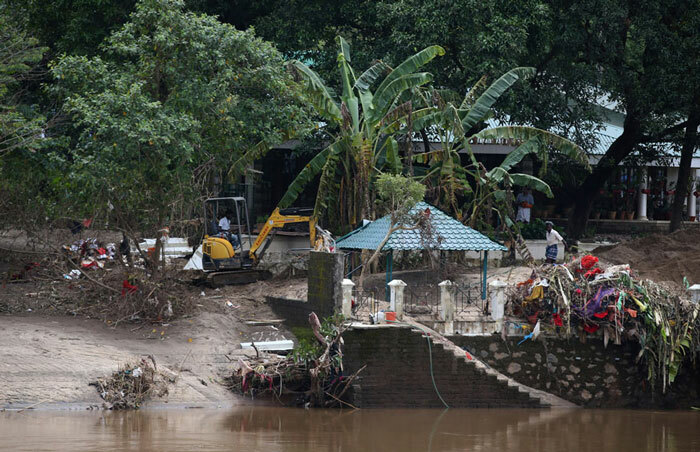 Household goods are placed on road to dry after being salvaged by residents from their flood affected houses in Kochi. 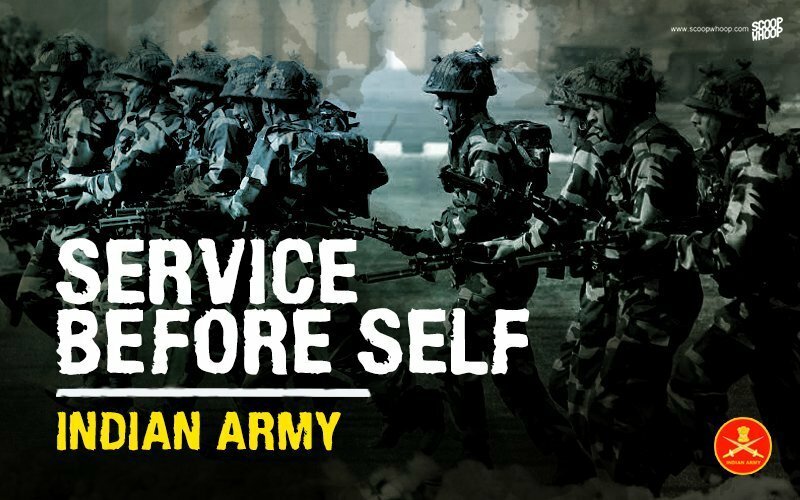 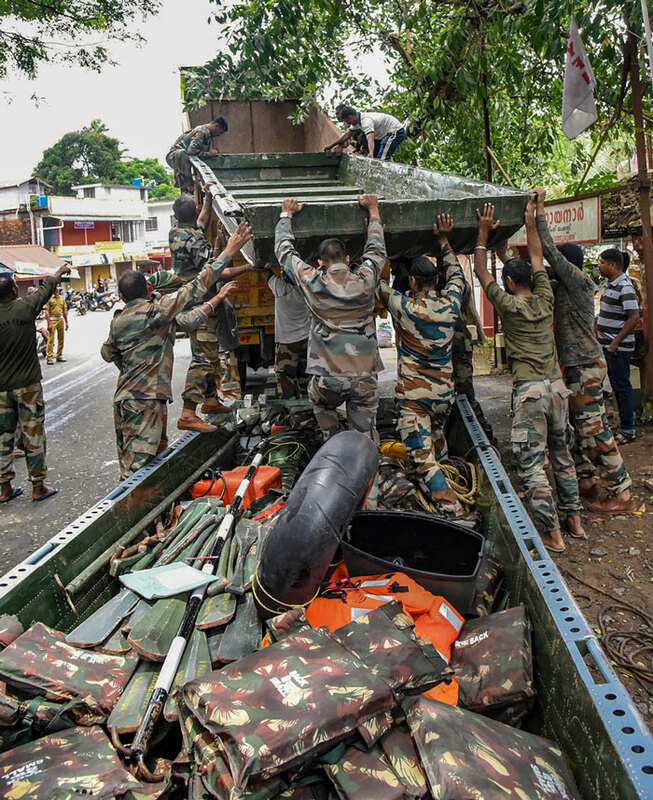 Army personnel pack up their material after carrying out rescue and relief operations in the flood-affected areas, at North Paravoor in Kochi.